Abstract: Amyloidosis refers to the extracellular tissue deposition of fibrils composed of low-molecular-weight subunits of a variety of proteins. These deposits may result in a wide range of clinical manifestations depending upon their type, location, and the amount of deposition. Dialysis-related amyloidosis is a serious complication of long-term dialysis therapy and is characterized by the deposition of amyloid fibrils, principally composed of β2 microglobulins (β2M), in the osteoarticular structures and viscera. Most of the β2M is eliminated through glomerular filtration and subsequent reabsorption and catabolism by the proximal tubules. As a consequence, the serum levels of β2M are inversely related to the glomerular filtration rate; therefore, in end-stage renal disease patients, β2M levels increase up to 60-fold. Serum levels of β2M are also elevated in several pathological conditions such as chronic inflammation, liver disease, and above all, in renal dysfunction. Retention of amyloidogenic protein has been attributed to several factors including type of dialysis membrane, prolonged uremic state and/or decreased diuresis, advanced glycation end products, elevated levels of cytokines and dialysate. Dialysis treatment per se has been considered to be an inflammatory stimulus, inducing cytokine production (such as interleukin-1, tumor necrosis factor-α, interleukin-6) and complement activation. The released cytokines are thought to stimulate the synthesis and release of β2M by the macrophages and/or augment the expression of human leukocyte antigens (class I), increasing β2M expression. Residual renal function is probably the best determinant of β2M levels. Therefore, it has to be maintained as long as possible. In this article, we will focus our attention on the etiology of dialysis-related amyloidosis, its prevention, therapy, and future solutions. Amyloidosis is a disorder of protein folding in which normally whole proteins or fragments of normally soluble proteins are deposited as abnormal, insoluble fibrils that disrupt the tissue structure, therefore causing disease (Figure 1). In systemic amyloidosis, the deposits may be present in the parenchyma of the viscera and tissues, causing progressive organ dysfunction often leading to death of patients. The kidneys are one of the most frequent sites of amyloid deposition in amyloidosis AL, AA, and several of the hereditary amyloidoses. Dialysis-related amyloidosis (DRA) is a serious complication of both long-term hemodialysis (HD) and peritoneal dialysis (PD). DRA is characterized by the deposition of amyloid fibril principally composed of β2M in the osteoarticular structures and viscera. β2M is a small membrane protein associated with the heavy chains of class I major histocompatibility complex (MHC) on the surface of nucleated cells. Normally, most of the β2M is cleared by glomerular filtration and subsequent proximal tubular reabsorption and catabolism. In end-stage renal disease (ESRD), as a consequence of marked reduction of catabolism, the plasma levels of β2M are elevated and, following a long-time exposure, tissue deposition occurs; in fact, β2M is generally rare in the first few years of dialysis. DRA mainly involves the osteoarticular system (bone, synovium, muscle, tendon, ligaments); the main clinical events are carpal tunnel syndrome (CTS), bone cysts, scapula–humeral periarthritis, joint arthropathy, and destructive spondyloarthropathy. 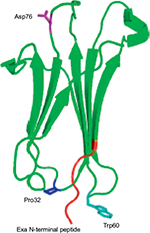 β2M has a three-dimensional structure, similar to immunoglobulin superfamily, with seven-stranded β-sandwich folds stabilized by a single disulfide bond (Figure 2). Abbreviation: PDB, Protein Data Bank. In the long term, sustained high retention of β2M causes progressive deposition of β2M, as amyloid fibrils, in the osteoarticular system, thus resulting in the pathology known as DRA. However, the precise mechanism of pathogenesis of DRA is not yet fully elucidated and no correlations were found between the serum levels of β2M and the onset of DRA. Moreover, the biochemical characterization of ex vivo amyloid deposits revealed a large quantity (~30%) of truncated variant of β2M (ΔN6) lacking the six N-terminal residues. Proteolytic cleavage of the six N-terminal residues causes a rearrangement of the structure of β2M, and also of the intermediate form IT, and enhances its amyloidogenic properties. Moreover, dialysis treatment has to be considered as an inflammatory stimulus that induces cytokine production and complement activation; elevated levels of cytokines might play a role in DRA. 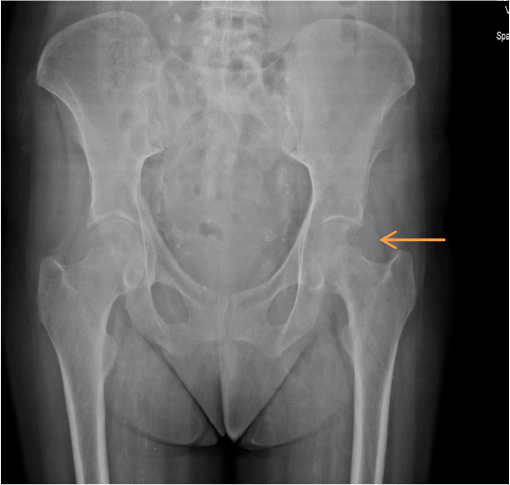 Figure 3 Anteroposterior pelvis radiography of a patient who has been receiving hemodialysis for almost 30 years. Note: Aggressive osteolytic lesion in the left femoral neck (see arrow) (Courtesy of Department of Nephrology and Dialysis, Hospital “Guglielmo da Saliceto”, Piacenza, Italy). It is not possible to define the effective prevalence of DRA because the “gold standard” diagnostic test, such as biopsy and Congo red staining, is rarely used. Abbreviations: DRA, dialysis-related amyloidosis; HD, hemodialysis. As a consequence of this, the more is the RRF and urine output, the better is the clearance of β2M and the defense against the development of DRA. Use of bio-incompatible dialysis membrane: The membrane effect is a potential influence on DRA. Bio-incompatible membranes, such as cuprophane and cellulose acetate membranes, have small pores and cannot clear substances of molecular weights higher than 200 Da. Furthermore, it leads to a marked rise in β2M plasma levels. It has been demonstrated by in vitro experiments that mononuclear cells in contact with cellulosic membranes promote the production of IL-6 and the transcription and release of β2M from the monocytes.29 This phenomenon is more marked in the presence of products of complement activation. Therefore, repeated exposure of the blood of patient to bio-incompatible membranes may promote the inflammatory response, aggravate the oxidative stress of uremia, and play a role in the development of amyloid disease. Serum β2M levels are increased in patients with ESRD on dialysis treatment; levels in plasma typically range from 30 to 50 mg/L, much higher than the normal values (between 0.8 and 3.0 mg/L).4 However, high plasma β2M level is not a reliable predictive marker of DRA and several patients with high plasma β2M concentration have no DRA.35 According to Kidney Disease Outcomes Quality Initiative guidelines, tissue biopsy is the “gold standard” test to detect β2M for diagnosing DRA. Similar to other amyloid fibril proteins, in Congo red staining, β2M is Congo red positive and exhibits apple-green birefringence under polarized light.36 The type of amyloid fibril proteins cannot be recognized by standard immunofluorescence which is negative and nonspecific, but can be recognized by specific immunohistochemistry for β2M and/or laser microdissection–mass spectrometry. In electron microscopy, the amyloid fibrils are extracellular, straight, randomly arranged, measuring 9–11 nm in diameter.37 Abdominal fat pad aspiration is not useful in diagnosing DRA, but it is used in diagnosing AL amyloidoses sometimes. Physicians should suspect DRA when joint symptoms occur in HD patients; scapulohumeral periarthritis could be induced by amyloid infiltration of rotator cuff muscles.38 In patients on dialysis for decades, even scapulohumeral destruction may occur (Figure 4). 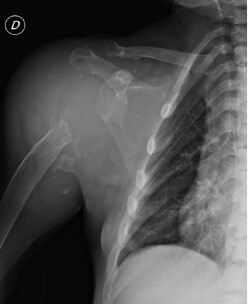 Figure 4 Anteroposterior right shoulder radiography of a male patient on long-term renal replacement treatment. Notes: DRA totally destroyed right humerus head. Deltoid and proximal humerus area is occupied by amorphous irregular lesion (Courtesy of Department of Nephrology and Dialysis, Hospital “Guglielmo da Saliceto”, Piacenza, Italy). Bilateral shoulder pain is elicited by abduction of arm, whose motion is very limited. Lying on supine position worsens the pain, for instance, during rest at night, sometimes making the dialysis session poorly tolerated.39 Physical examination could reveal the “shoulder pad sign”: the shoulders struck by DRA appear hypertrophied due to thickening and/or deposition of amyloid between the muscles and tendons of the rotator cuff. 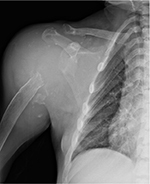 The thickness of the rotator cuff could be confirmed by ultrasonography, which may detect pads deposited between the muscles and tendons.40 Even magnetic resonance imaging could easily show thickening of the supraspinatus and/or subscapularis tendon.41 Arm tendons could be involved in β2M deposition; bicipital tendon becomes tender to palpation, which could be shown even by ultrasonography or magnetic resonance imaging. 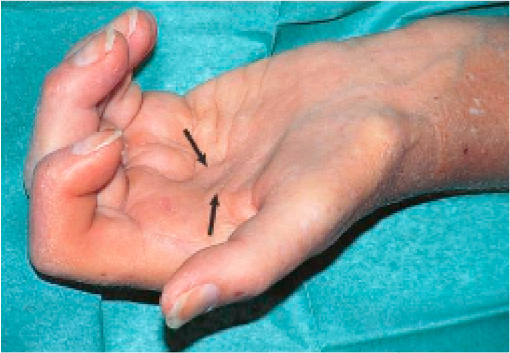 When amyloid deposition occurs along flexor tendons, physicians could detect the pathognomonic “guitar string” sign; when the fingers are extended, the flexor tendons become prominent due to amyloid deposition in soft tissue of the palm48 (Figure 5). Figure 5 Hand involvement in DRA. 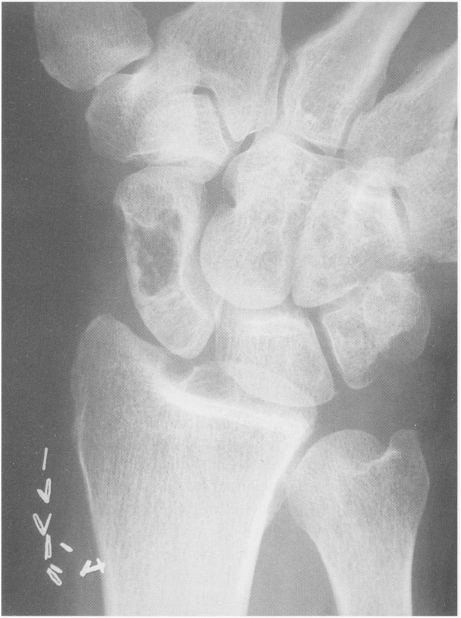 Figure 6 Anteroposterior radiography of a hand with classic amyloid cysts throughout the carpus and distal radius, typical locations of DRA bone cysts. Strategies of clinical surveillance are very difficult because DRA often causes nonspecific symptoms. Moreover, the pathognomonic signs pointed above (shoulder pad sign or guitar string) are uncommon and take several years to develop. So, diagnosis is often delayed until many investigations are performed, often culminating in a tissue biopsy. A suggestion could be to recognize the joint symptoms in HD patients through a frequent clinical examination and to suspect DRA related to patient dialysis vintage. If the suspicion of DRA is valid, physicians have to re-examine any available tissue biopsies. In order to achieve an early diagnosis of DRA, it could be useful to have an early diagnosis of dialysis-related CTS through ultrasonography with improved resolution using a high-frequency probe. Recently, Yamazaki et al observed that the median nerve compression rate, measured by an improved ultrasound device, significantly correlated with clinical symptoms, medical history, and serological features (β2M level ≥20 mg/L) associated with dialysis-related CTS. 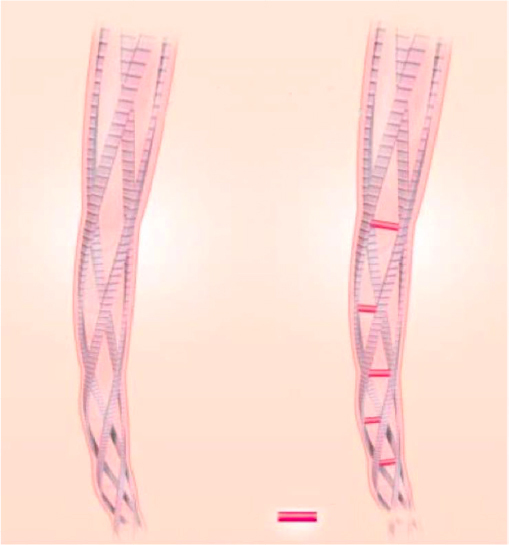 The compression rate of the nerve was calculated by measuring the smallest diameter of the compressed nerve and the largest diameter of the unaffected part.55 Patients with DRA need long-term surveillance and, in the shorter term, 6-monthly specialist follow-up, so as to evaluate the progression rate of the disease. In order to prevent and slow the progression of DRA in patients on HD, the dialysis treatment should be optimized in order to achieve the maximum decrease in plasmatic β2M levels through the maximum clearance of this protein. The dialysis modality, the duration, and the frequency drive β2M clearance. In any case, it is important to consider that this comparison between the two dialysis methods might be influenced by the generally shorter average duration of PD treatment. Palliative treatment of DRA is based on reduction of symptoms related to the disease. The most debilitating clinical manifestations of DRA are CTS and disposition to pathological fractures due to bone cysts. Analgesics, nonsteroidal anti-inflammatory drugs, and steroids may be useful for controlling articular and bone pain. The immune system is chronically stimulated in chronic kidney disease, and dialysis treatment represents a further additive factor in promoting inflammation. The role of endotoxin and bacterial contamination of the dialysate may represent a piece of this complicated puzzle, contributing to complement activation, oxidative stress, cytokine stimulation, as well as β2M amyloidosis deposition. Dialysis treatment (PD or HD with ultrapure dialysate or with more biocompatible and high-flux membranes) may represent a helpful strategy in reducing amyloid deposition; but all strategies to maintain the residual renal function as long as possible must be put in place. Early renal transplantation program should be pursued as soon as possible due to its ability to cause increased reduction of β2M levels. No medical treatment presently exists to reverse or alter the course of β2 amyloidosis. Medical therapy is limited to symptomatic approaches that ameliorate joint pain and inflammation. Surgical intervention may only be confined to carpal tunnel decompression of the median nerve or release of the transverse carpal ligaments, flexor tenosynovectomy or percutaneous first annular pulley release or total joint replacement, and may be effective in alleviating pain and restoring the function. Unfortunately, orthopedic interventions have high failure rates in DRA, compared with the rates in the general population. However, it has to be remembered that progression of the disease can be halted, but its regression is unlikely with all the therapeutic strategies. So, the main purpose of avoiding β2M amyloid deposit is the prevention of its deposition, intervening early on modifiable factors, as reported in Table 1. Merlini G, Bellotti V. Molecular mechanism of amyloidosis. N Engl J Med. 2003;349(6):583–596. Jadoul M, Garbar C, Noël H, et al. Histological prevalence of beta 2-microglobulin amyloidosis in hemodialysis: a prospective post-mortem study. Kidney Int. 1997;51(6):1928–1932. Athanasou NA, Ayers D, Rainey AJ, Oliver DO, Duthie RB. Joint and systemic distribution of dialysis amyloid. Q J Med. 1991;78(287):205–214. Vincent C, Revillard JP. Beta-2-microglobulin and HLA-related glycoproteins in human urine and serum. Contrib Nephrol. 1981;26:66–88. Gejyo F, Yamada T, Odani S, et al. A new form of amyloid protein associated with chronic haemodialysis was identified as beta 2 microglobulin. Biochem Biophys Res Commun. 1985;129(3):701–706. Lobato L, Beirao I, Guimaraes SM, Droz D, Guimarães S, Grünfeld JP, Noël LH. Familial amyloid polyneuropathy type I (Portuguese): distribution and characterization of renal amyloid deposits. Am J Kidney Dis. 1998;31(6):940–946. Dember LM, Jaber BL. Dialysis-related amyloidosis: late finding or hidden epidemic? Semin Dial. 2006;19(2):105–109. Giorgetti S, Rossi A, Mangione P, et al. Beta2-microglobulin isoforms display an heterogeneous affinity for type I collagen. Protein Sci. 2005;14(3):696–702. Heegaard NH, Sen JW, Kaarsholm NC, Nissen MH. Conformational intermediate of the amyloidogenic protein beta 2-microglobulin at neutral pH. J Biol Chem. 2001;276(35):32657–32662. Uji Y, Motomiya Y, Ando Y. A circulating beta 2-microglobulin intermediate in hemodialysis patients. Nephron Clin Pract. 2009;111(3):c173–c181. Jahn TR, Parker MJ, Homans SW, Radford SE. 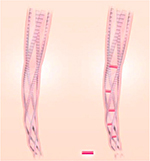 Amyloid formation under physiological conditions proceeds via a native-like folding intermediate. Nat Struct Mol Biol. 2006;13(3):195–201. Eichner T, Radford SE. A generic mechanism of beta2-microglobulin amyloid assembly at neutral pH involving a specific proline switch. J Mol Biol. 2009;386(5):1312–1326. Eichner T, Kalverda AP, Thompson GS, Homans SW, Radford SE. Conformational conversion during amyloid formation at atomic resolution. Mol Cell. 2011;41(2):161–172. Miyata T, Oda O, Inagi R, et al. Beta 2-Microglobulin modified with advanced glycation end products is a major component of hemodialysis-associated amyloidosis. J Clin Invest. 1993;92(3):1243–1252. Tsukushi S, Katsuzaki T, Aoyama I, Takayama F, Miyazaki T, Shimokata K,Niwa T. Increased erythrocyte 3-DG and AGEs in diabetic hemodialysis patients: role of the polyol pathway. Kidney Int. 1999;55(5):1970–1976. Hou FF, Jiang JP, Guo JQ, et al. Receptor for advanced glycation end products on human synovial fibroblasts: role in the pathogenesis of dialysis-related amyloidosis. J Am Soc Nephrol. 2002;13(5):1296–1306. Schaeffer J, Floege J, Ehlerding G, Koch KM. Pathogenetic and diagnostic aspects of dialysis-related amyloidosis. Nephrol Dial Transplant. 1995;10 (Suppl 3):S4–S8. Zumrutdal A. Role of β2-microglobulin in uremic patients may be greater than originally suspected. World J Nephrol. 2015;4(1):98–104. Cheung AK, Rocco MV, Yan G, et al. Serum beta-2 microglobulin levels predict mortality in dialysis patients: results of the HEMO study. J Am Soc Nephrol. 2006;17:546–555. Warren DJ, Otieno LS. Carpal tunnel syndrome in patients on intermittent haemodialysis. Postgrad Med J. 1975;51(597):450–452. Zingraff JJ, Noel LH, Bardin T, Atienza C, Zins B, Drueke TB, Kuntz D. Beta 2-microglobulin amyloidosis in chronic renal failure. N Engl J Med. 1990;323(15):1070–1071. Miyata T, Jadoul M, Kurokawa K, Van Ypersele de Strihou C. Beta-2 microglobulin in renal disease. J Am Soc Nephrol. 1998;9(9):1723–1735. Dervisoglu E, Anik Y, Erdogan S, Akansel G, Yilmaz A. Beta2-microglobulin amyloidosis in hemodialysis and peritoneal dialysis patients. Ther Apher Dial. 2008;12(4):306–310. Hayami N, Hoshino J, Suwabe T, et al. Destructive spondyloarthropathy in patients on long-term peritoneal dialysis or hemodialysis. Ther Apher Dial. 2015;19(4):393–398. Schiffl H. Impact of advanced dialysis technology on the prevalence of dialysis-related amyloidosis in long-term maintenance dialysis patients. Hemodial Int. 2014;18(1):136–141. Van Ypersele de Strihou C, Jadoul M, Malghem J, Maldague B, Jamart J. Effect of dialysis membrane and patient’s age on signs of dialysis-related amyloidosis. The Working Party on Dialysis Amyloidosis. Kidney Int. 1991;39(5):1012–1019. McCarthy JT, Williams AW, Johnson WJ. Serum beta 2-microglobulin concentration in dialysis patients: importance of intrinsic renal function. J Lab Clin Med. 1994;123(4):495–505. Hartmann J, Fricke H, Schiffl H. Biocompatible membranes preserve residual renal function in patients undergoing regular hemodialysis. Am J Kidney Dis. 1997;30(3):366–373. Memoli B, Libetta C, Rampino T, et al. Interleukin-6 production of uraemic haemodialysed patients: effects of different membranes. Nephrol Dial Transplant. 1991;6 (Suppl 2):96–98. Fenves AZ, Emmett M, White MG, Greenway G. Carpal tunnel syndrome with cystic bone lesions secondary to amyloidosis in chronic hemodialysis patients. Am J Kidney Dis. 1986;7(2):130–134. Ikegaya N, Kobayashi S, Hishida A, Kaneko E, Furuhashi M, Maruyama Y. Colonic dilatation due to dialysis-related amyloidosis. Am J Kidney Dis. 1995;25(5):807–809. Dulgheru EC, Balos LL, Baer AN. Gastrointestinal complications of beta2-microglobulin amyloidosis: a case report and review of the literature. Arthritis Rheum. 2005;15;53(1):142–145. Sethi D, Hutchison AJ, Cary NR, Brown EA, Curtis JR, Woodrow DF, Gower PE. Macroglossia and amyloidoma of the buttock: evidence of systemic involvement in dialysis amyloid. Nephron. 1990;55(3):312–315. Scarpioni R, Ricardi M, Albertazzi V. Secondary amyloidosis in autoinflammatory diseases and the role of inflammation in renal damage. World J Nephrol. 2016;5(1):66–75. Kazama JJ, Yamamoto S, Takahashi N, Ito Y, Maruyama H, Narita I, Gejyo F. Abeta-2M-amyloidosis and related bone diseases. J Bone Miner Metab. 2006;24(2):182–184. National Kidney Foundation. K/DOQI clinical practice guidelines for bone metabolism and disease in chronic kidney disease. Am J Kidney Dis. 2003;42 (4 Suppl 3):S1–S201. Fogo AB, Lusco MA, Najafian B, Alpers CE. AJKD atlas of renal pathology: hereditary and other non-AL amyloidoses. Am J Kidney Dis. 2015;66(6):e49–51. Chattopadhyay C, Ackrill P, Clague RB. The shoulder pain syndrome and soft-tissue abnormalities in patients on long-term haemodialysis. Br J Rheumatol. 1987;26(3):181–187. Kay J. B2-microblogulin amyloidosis. Amyloid Int J Exp Clin Invest. 1997;4:187–211. Sommer R, Valen GJ, Ori Y, Weinstein T, Katz M, Hendel D, Korzets A. Sonographic features of dialysis-related amyloidosis of the shoulder. J Ultrasound Med. 2000;19:765–770. Slavotinek JP, Coates PT, McDonald SP, Disney AP, Sage MR. Shoulder appearances at MR imaging in long-term dialysis recipients. Radiology. 2000;217(2):539–543. Jablecki CK, Andary MT, Floeter MK, et al. Practice parameter: electrodiagnostic studies in carpal tunnel syndrome. Report of the American Association of Electrodiagnostic Medicine, American Academy of Neurology, and the American Academy of Physical Medicine and Rehabilitation. Neurology. 2002;58(11):1589–1592. Jablecki CK, Andary MT, So YT, Wilkins DE, Williams FH. Literature review of the usefulness of nerve conduction studies and electromyography for the evaluation of patients with carpal tunnel syndrome. Muscle Nerve. 1993;16(12):1392–1414. Preston DC, Shapiro BE. Median neuropathy at the wrist. In: Electromyography and Neuromuscular Disorders: Clinical-Electrophysiologic Correlations. 3rd ed. Elsevier, New York, NY, USA; 2013:267. Laurent G, Calemard E, Charra B. Dialysis related amyloidosis. Kidney Int Suppl. 1988;24:S32–S34. Keith MW, Masear V, Chung KC, et al; American Academy of Orthopaedic Surgeons. American Academy of Orthopaedic Surgeons clinical practice guidelines on the treatment of carpal tunnel syndrome. J Bone Joint Surg Am. 2009;91(1):218–219. Huisstede BM, Randsdorp MS, Coert JH, Glerum S, van Middelkoop M, Koes BW. Carpal tunnel syndrome. Part II: effectiveness of surgical treatments-a systematic review. Arch Phys Med Rehabil. 2010;91(7):1005–1024. Martin KJ, Floege J, Ketteler M. Bone and mineral metabolism in chronic kidney disease. In: Comprehensive Clinical Nephrology. 5th ed. Philadelphia: Elsevier Saunders; 2014: Chapter 85, 984–999. Gravallese EM, Baker N, Lester S, Kay J, Owen WF Jr. Musculoskeletal manifestations in beta 2-microglobulin amyloidosis. Case discussion. Arthritis Rheum. 1992;35(5):592–602. Maruyama H, Gejyo F, Arakawa M. Clinical studies of destructive spondyloarthropathy in long-term hemodialysis patients. Nephron. 1992;61(1):37–44. Kiss E, Keusch G, Zanetti M, et al. Dialysis-related amyloidosis revisited. AJR Am J Roentgenol. 2005;185(6):1460–1467. Allard JC, Artze ME, Porter G, Ghandur-Mnaymneh L, de Velasco R, Pérez GO. Fatal destructive cervical spondyloarthropathy in two patients on long-term dialysis. Am J Kidney Dis. 1992;19(1):81–85. Fitzpatrick DC, Jebson PJ, Madey SM, Steyers CM. Upper extremity musculoskeletal manifestations of dialysis-associated amyloidosis. Iowa Orthop J. 1996;16:135–138. Campistol JM, Solé M, Muñoz-Gómez J, Riba J, Ramón R, Revert L. Pathological fractures in patients who have amyloidosis associated with dialysis. A report of five cases. J Bone Joint Surg Am. 1990;72(4):568–574. Yamazaki T, Kawahara N, Arai K, et al. Utility of ultrasonography of the median nerve with a high-frequency probe for the diagnosis of dialysis-related carpal tunnel syndrome. Ther Apher Dial. Epub 2016 Mar 17. Hoshino J, Yamagata K, Nishi S, Nakai S, Masakane I, Iseki K, Tsubakihara Y. Significance of the decreased risk of dialysis-related amyloidosis now proven by results from Japanese nationwide surveys in 1998 and 2010. Nephrol Dial Transplant. 2016;31(4):595–602. Campistol JM. Dialysis-related amyloidosis after renal transplantation. Semin Dial. 2001;14(2):99–102. Mourad G, Argiles A. Renal transplantation relieves the symptoms but does not reverse beta 2-microglobulin-amyloidosis. J Am Soc Nephrol. 1996;7(5):798–804. Tan SY, Baillod R, Brown E, et al Clinical, radiological and serum amyloid P component scintigraphic feature of beta2-microglobulin amyloidosis associated with continuous ambulatory peritoneal dialysis. Nephrol Dial Transplant. 1999;14(6):1467. OPTN/SRTR Annual Data Report 2014. Am J Transplant. 2016;16(2):11–46. Floege J, Koch KM. Beta 2-microglobulin associated amyloidosis and therapy with high flux hemodialysis membranes. Clin Nephrol. 1994;42 (Suppl 1):S52–S56. Canaud B, Bowry SK. Emerging clinical evidence on online hemodiafiltration: does volume of ultrafiltration matter? Blood Purif. 2013;35(1–3):55–62. Furuya R, Kumagai H, Takahashi M. Ultrapure dialysate reduces plasma levels of beta2-microglobulin and pentosidine in hemodialysis patients. Blood Purif. 2005;23(4):311–316. Koda Y, Nishi S, Miyazaki S. Switch from conventional to high-flux membrane reduces the risk of carpal tunnel syndrome and mortality of hemodialysis patients. Kidney Int. 1997;52(4):1096–1101. Raj DS, Ouwendyk M, Francoeur R, Pierratos A. beta(2)-microglobulin kinetics in nocturnal haemodialysis. Nephrol Dial Transplant. 2000;15(1):58–64. Benz RL, Siegfried JW, Teehan BP. Carpal tunnel syndrome in dialysis patients: comparison between continuous ambulatory peritoneal dialysis and hemodialysis populations. Am J Kidney Dis. 1988;11(6):473–476. Fry AC, Singh DK, Chandna SM, Farrington K. Relative importance of residual renal function and convection in determining beta-2-microglobulin levels in high-flux haemodialysis and on-line haemodiafiltration. Blood Purif. 2007;25(3):295–302. Gejyo F, Homma N, Hasegawa S, Arakawa M. A new therapeutic approach to dialysis amyloidosis: intensive removal of beta 2-microglobulin with adsorbent column. Artif Organs. 1993;17(4):240–243. Homma N, Gejyo F, Hasegawa S, Teramura T, Ei I, Maruyama H, Arakawa M. Effects of a new adsorbent column for removing beta-2-microglobulin from circulating blood of dialysis patients. Contrib Nephrol. 1995;112:164–171. Abe T, Uchita K, Orita H, et al. Effect of beta(2)-microglobulin adsorption column on dialysis-related amyloidosis. Kidney Int. 2003;64(4):1522–1528. Otsubo S, Kimata N, Okutsu I, et al. Characteristics of dialysis-related amyloidosis in patients on haemodialysis therapy for more than 30 years. Nephrol Dial Transplant. 2009;24(5):1593–1598. Takenaka R, Fukatsu A, Matsuo S, Ishikawa K, Toriyama T, Kawahara H.Surgical treatment of hemodialysis-related shoulder arthropathy. Clin Nephrol. 1992;38(4):224–230. Stoppini M, Bellotti V. Systemic Amyloidosis: Lessons from β2-Microglobulin. J Biol Chem. 2015;290(16):9951–9958.